NEW YORK — An extensive New Yorker profile details the information collection methods routinely used by Christopher Steele, the author of the infamous, largely discredited 35-page dossier on President Donald Trump. The article relates that Steele’s firm pays “collectors,” at times including reporters, who gather information from unpaid sources. Some of those sources occasionally receive favors for their cooperation, such as help with getting their kids into Western schools. To serve its clients, Orbis employs dozens of confidential “collectors” around the world, whom it pays as contract associates. Some of the collectors are private investigators at smaller firms; others are investigative reporters or highly placed experts in strategically useful jobs. Depending on the task and the length of engagement, the fee for collectors can be as much as two thousand dollars a day. The collectors harvest intelligence from a much larger network of unpaid sources, some of whom don’t even realize they are being treated as informants. These sources occasionally receive favors—such as help in getting their children into Western schools—but money doesn’t change hands, because it could risk violating laws against, say, bribing government officials or insider trading. Paying sources might also encourage them to embellish. 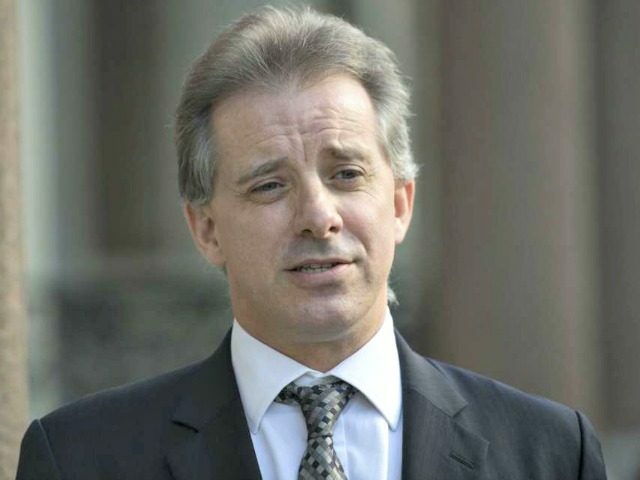 Steele is the founder of Orbis Business Intelligence, which was contracted by the controversial Fusion GPS to produce material related to Donald Trump’s 2016 presidential campaign. Fusion GPS was being funded for its anti-Trump work by Hillary Clinton’s 2016 presidential campaign and the Democratic National Committee (DNC) via the Perkins Coie law firm. It was not clear whether Steele’s firm did any favors for the “sources” cited inside the dossier. The method would raise immediate questions as to the veracity of the information. While the New Yorker reported generally that “money doesn’t change hands,” Steele has not commented about whether any of the dossier sources were paid. In testimony released publicly in January, Fusion GPS Co-Founder Glenn Simpson claimed that he did not know whether Steele paid any of his purported sources. Former acting CIA Director Michael Morell, who currently works at the Hillary Clinton-tied Beacon Global Strategies LLC, previously revealed that he “learned” that Steele paid some of the purported sources cited in the dossier. NBC News reported on comments made by Morell at an event last March sponsored by the Cipher Brief intelligence website. And so, as Steele threw himself into his new mission, he could count on an army of sources whose loyalty and information he had bought and paid for over the years. There was no safe way he could return to Russia to do the actual digging; the vengeful FSB. would be watching him closely. But no doubt he had a working relationship with knowledgeable contacts in London and elsewhere in the West, from angry émigrés to wheeling-and-dealing oligarchs always eager to curry favor with a man with ties to the Secret Service, to political dissidents with well-honed axes to grind.